Easter is such a fun time for both kids and adults. Spring is here, the flowers are blooming and the thrill of a chocolate Easter Egg hunt is on the minds of everyone in the family. And cooking for Easter is a ball! 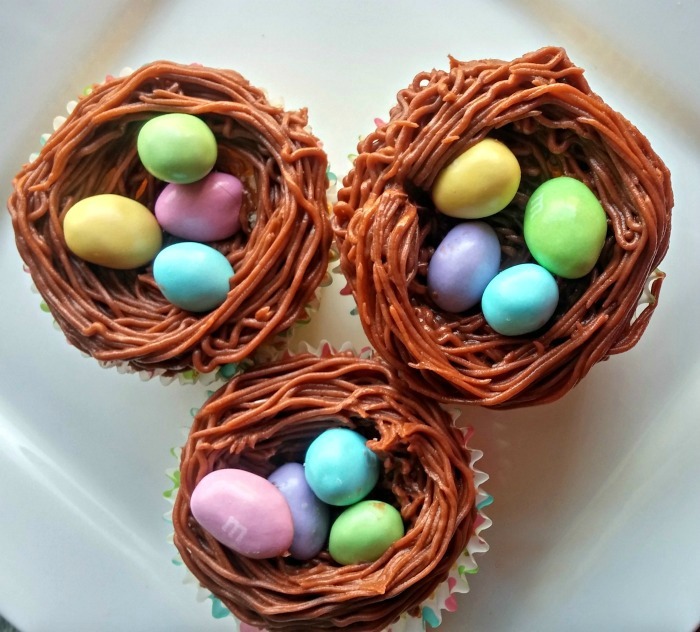 These fun Easter Nest Cupcakes will be the delight of your Easter dessert table. When Jess was a little girl, I was a Wilton cake decorating fiend. 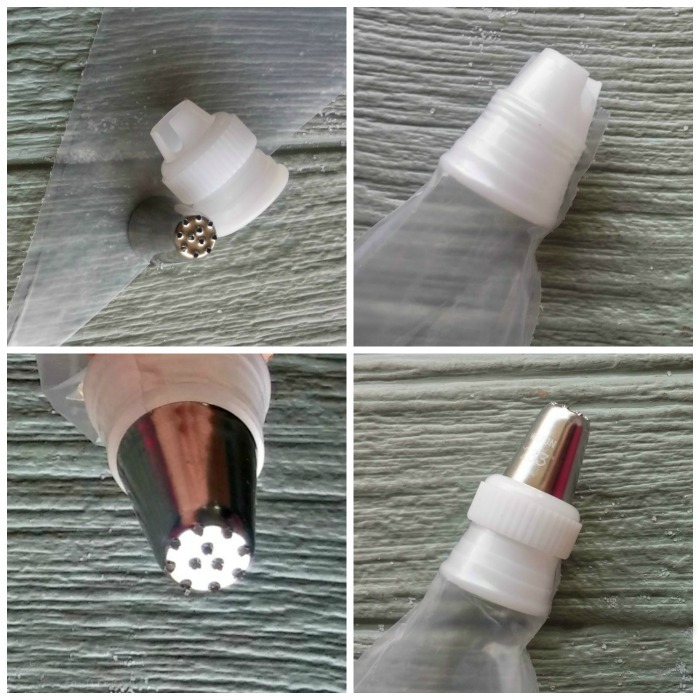 I would drag out my icing tips whenever there was a special occasion coming up. Those days have past now, but I still find cupcake decorating a fun thing to do from time to time. The cupcakes are a ball to make and quite easy once you get the hang of using the icing tip. 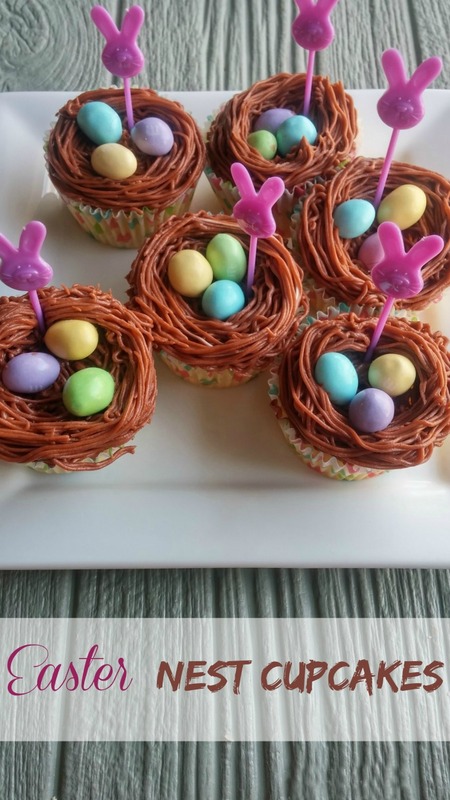 Let’s make some Easter Nest Cupcakes! 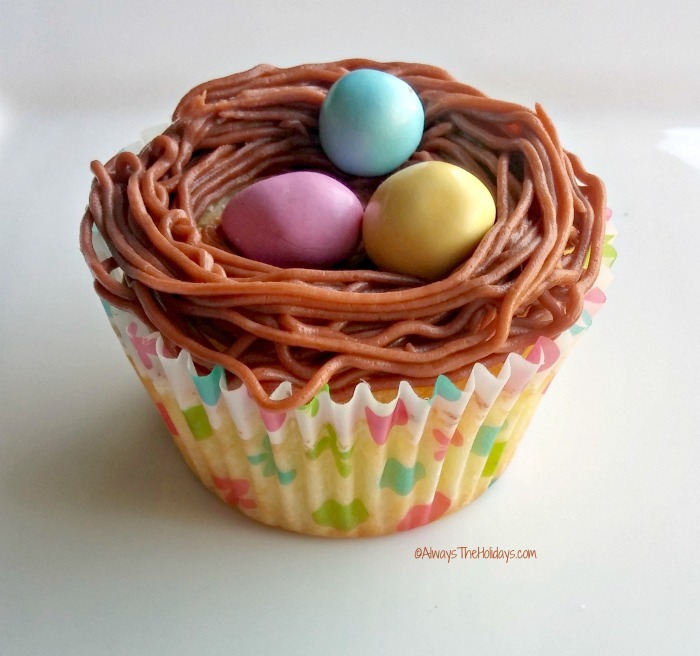 The beauty of these cupcakes is that you don’t have to be skilled at cake decorating. The icing tip basically does all the work for you. All you need is a slightly steady hand and a whimsical attitude and you’ll have them done in no time at all. Bake your cupcakes according to package directions. Add a few drops of the brown food coloring to your prepared frosting to get the desired color. 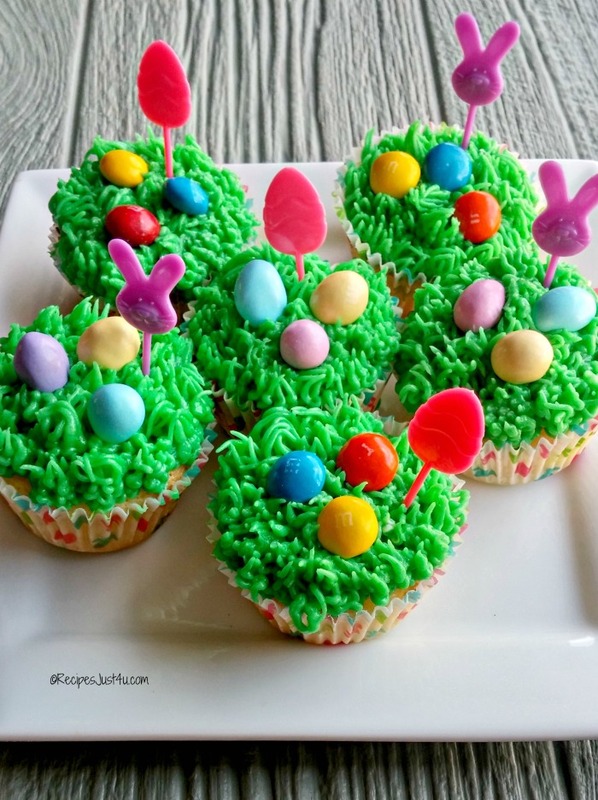 Have your Easter candy and Easter picks handy for decorating the cupcakes. Attach the Wilson grass tip and coupler to an icing bag. The coupler will hold the tip in place and can be re-used later. Time to add the baby chicks! That is all there is to making the nests. 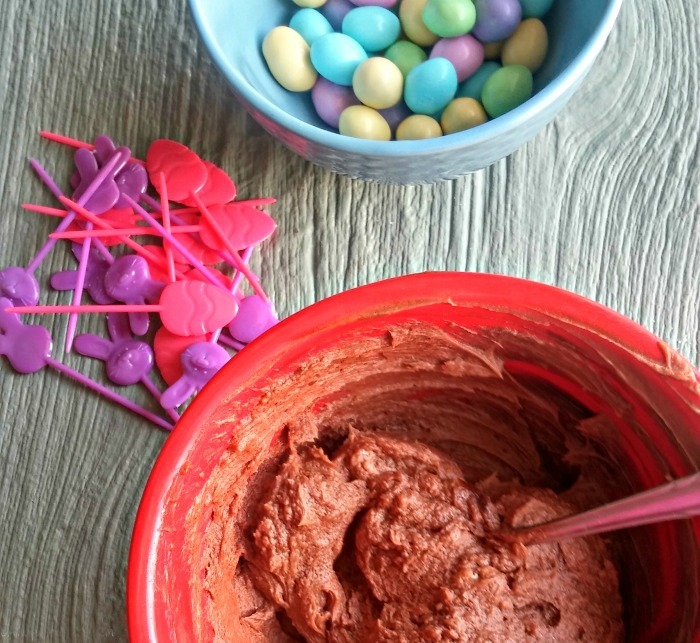 Now just add your Robin’s egg candy to the nest. Tada! Baby chicks all ready to hatch! 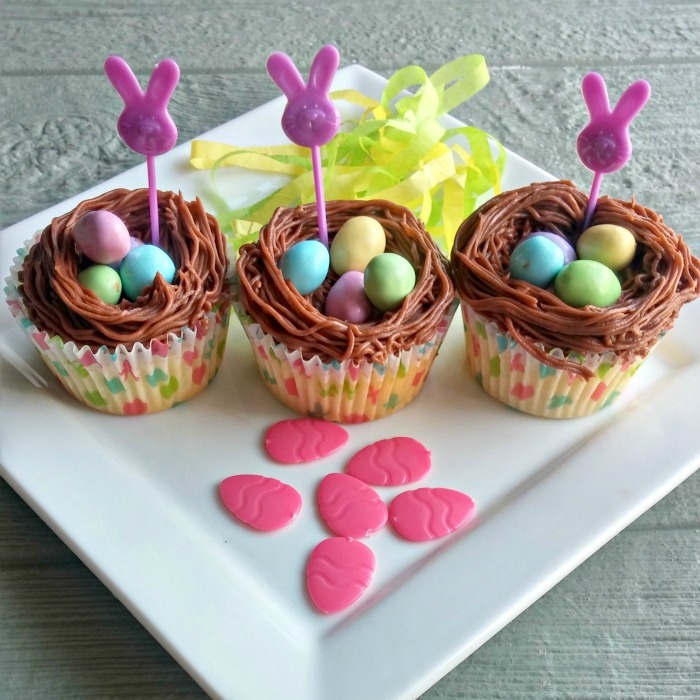 A little Easter bunny pick completes the look in a fun way.These adorable Easter Nest Cupcakes are so whimsical and fun. I guarantee you that they will disappear in no time at all. I also used the grass tip to make some home make lemon cupcakes with grass frosting for a different look.